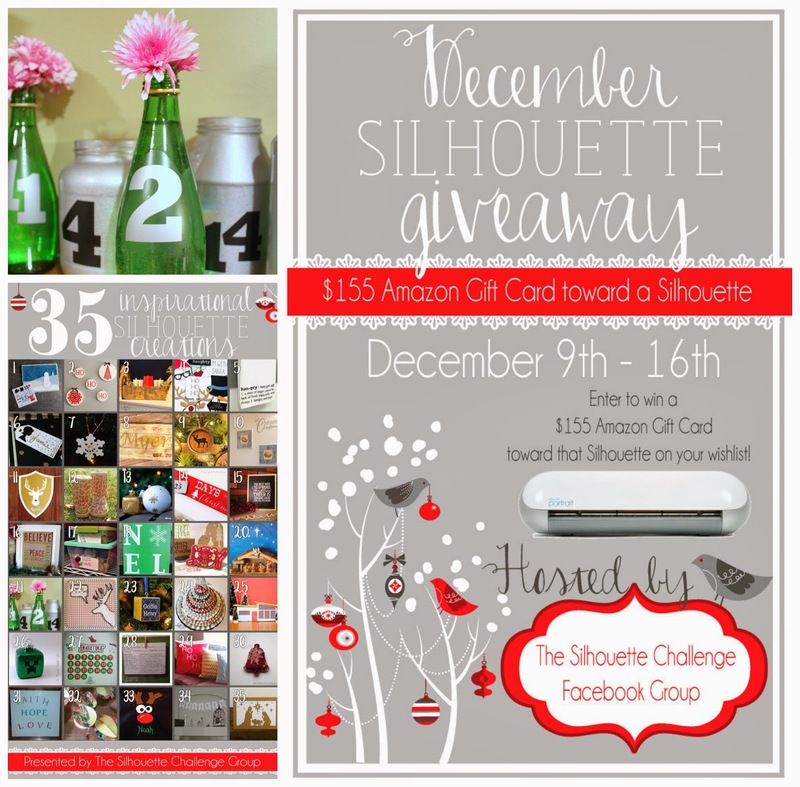 I have so much to share with you today PLUS a giveaway for $155 Amazon Gift Card. So be sure to stick around all the way until the end to find the entries for your chances to win! So let's get to my Silhouette project, first! I have this obsession for collecting empty jars from spaghetti sauce, sauerkraut, salsa, you name it! Not often, but every once in a while, I come up with a use for these jars collecting in the bottom of my craft closet. I used silver spray paint to give all of my clear jars a coat of color and left my perrier sparkling water bottles green. 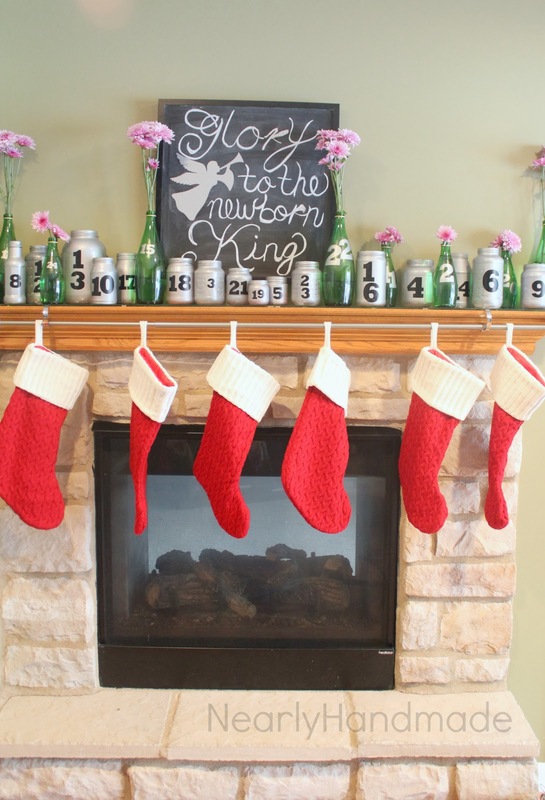 Once dry, I simply cut out different sized numbers out of Silhouette Vinyl with my "magical machine" to turn ordinary glass jars into an Advent Calendar! or any other single-serve snack! For the days that are "flower vases" I like to do a larger surprise that I keep on hand like a oatmeal raisin cookie or let them have their favorite lunch. So far, it has been a lot of fun and definitely a statement piece in our kitchen that makes me smile because I finally found a unique use for my recycled jars! If you're looking for more creative Silhouette projects (and I know that you are! ), check out these amazing ideas below in this beautiful collage for your convenience. Be sure to leave them some comment love and have fun discovering some new (to you) blogs! Are you still with me after all of that information? I sure hope so because we have a great giveaway for you! 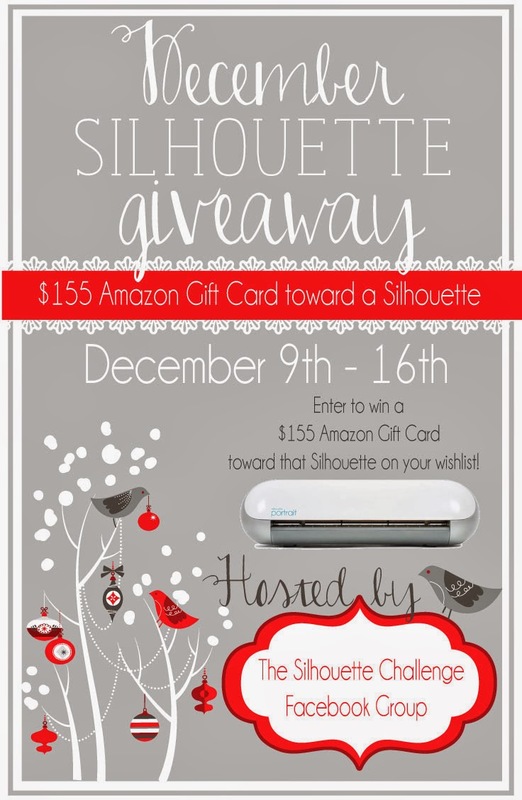 Starting today, December 9th, until December 16th, we are hosting a giveaway for a $155 Amazon Gift Card! Yup! 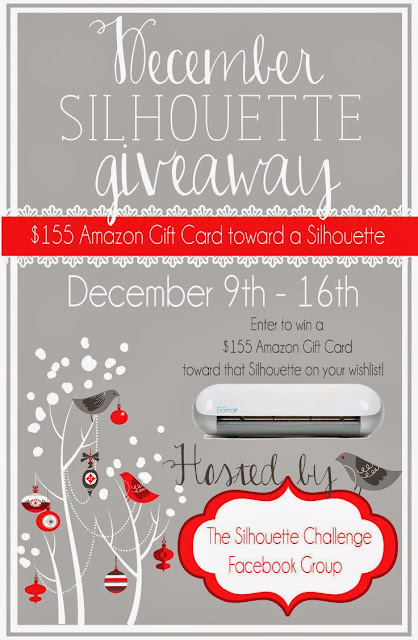 $155 that you could spend toward a Silhouette machine of your very own or even some fancy new supplies. Just in time for Santa to deliver a little special something... just for you! Giveaway runs from Monday, December 9th until Monday, December 16th at 11:59pm EST. You must be 18 years or older to enter and this giveaway IS international so everyone can play along! You have 31 possible entries so if you complete all of them, so that's a lot of potential winning power! The winner will be contacted by Lauren from The Thinking Closet by email and you will have 48 hour to respond. 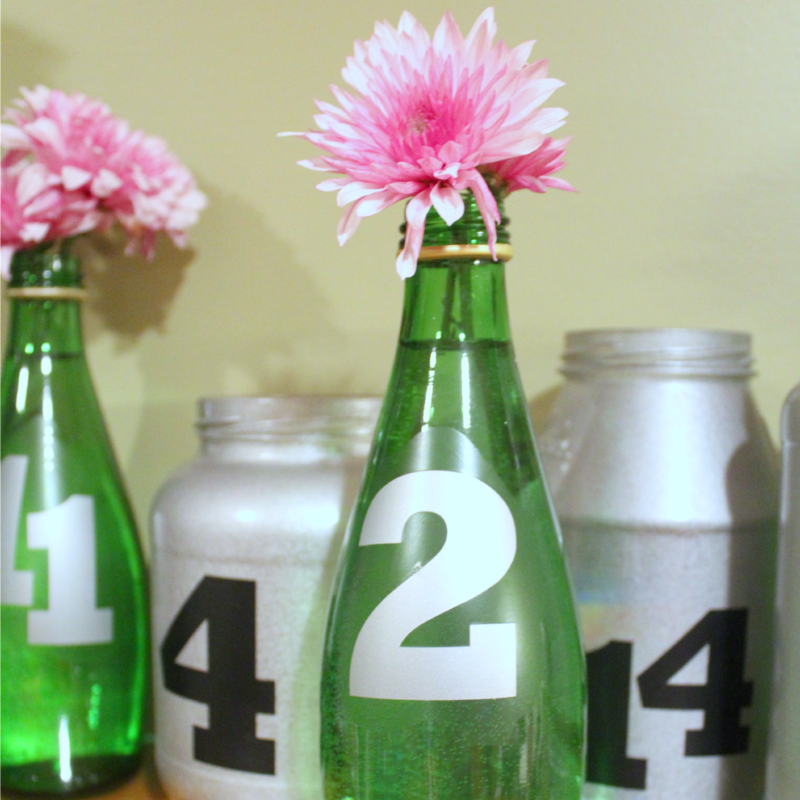 What a great re-use for your glass jars! It must be so much fun to pick out treats for your little ones and see the excitement when the look inside! I save jars too, and this is a great way to use them, plus they can be used for other purposes too! I can see them at other festive events, birthday parties, and sooo much more! I love that you involve the littles by putting their treats in the jars. Very Creative!! What a great way to repurpose! I love recycled projects. I'm so glad that I'm not the only one who hoards bottles! I agree about chocolate and candy, and having to balance them out with healthy treats! This is so cute! I love countdowns of all kinds! This project makes me want to go and rummage through my recycling bin looking for glass jars. Love it! 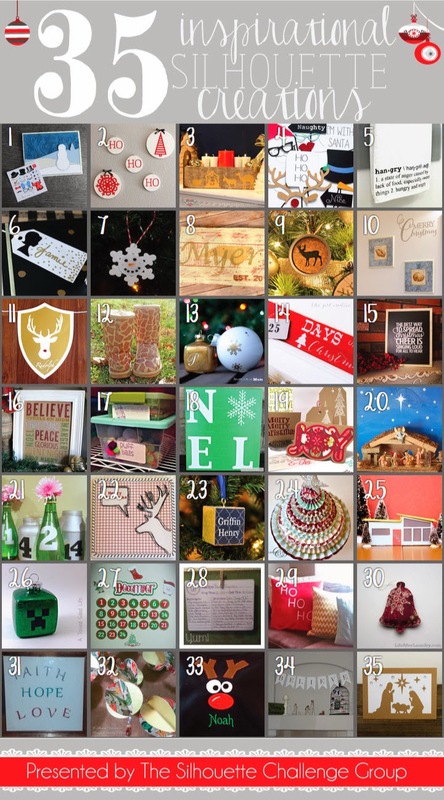 I love this non-traditional advent calendar! Very cute! (I think my last comment may have gotten eaten...but if this is a double-comment, feel free to delete.) I absolutely LOVE this, Janice! Everything from the combination of the green glass and silver bottles to the chunky black font you chose for your numbers to the idea that there are little healthy treats hidden within them...it's just such a top notch project top to bottom. 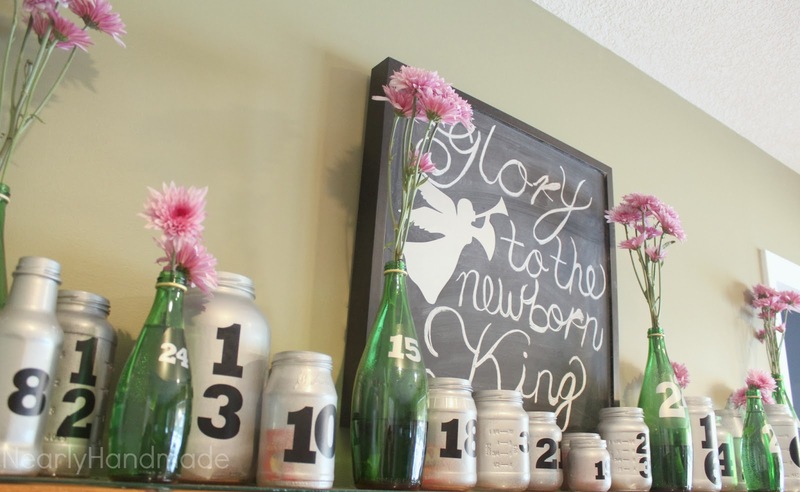 Heck, I'd even leave those jars out year-round - - they make great decor. Thanks for participating in our Special December Challenge & Giveaway! And I'm so glad to have you in our FB group! How clever and unique! Great job!